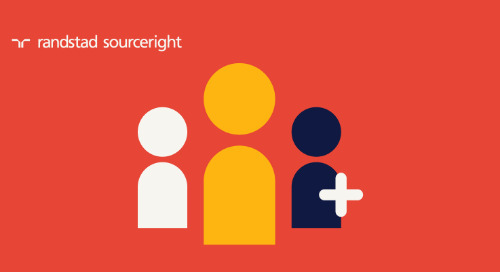 Home » Randstad Sourceright Insights » why integrated talent now? 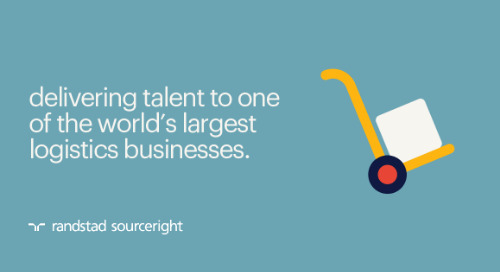 Companies today are facing a challenging time when it comes to talent. 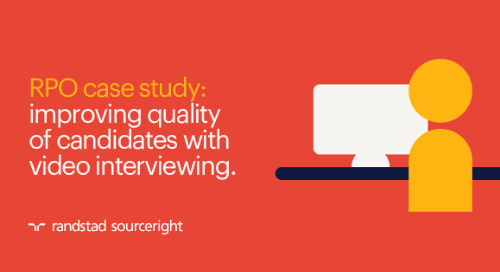 Sometimes the challenge is finding the right skills, other times it’s attracting and engaging high-quality workers. Then there’s the issue of retaining talent, both permanent and contingent. If you could only enhance your ability to address many of these obstacles, your business leaders could be more focused on, well, the business. Instead, if you’re like many HR and talent leaders, you’re putting out one fire after another as hiring managers and line leaders struggle with their talent needs not being met. You do your best, but organizational inertia and rigidness slow your ability to win talent. It always feels like your workforce planning is a patchwork of disparate tactics with too many decision makers and not enough coordination. 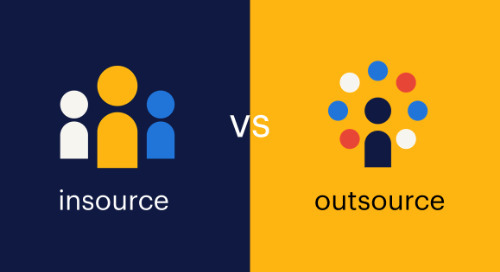 How would your company perform if, instead of operating under traditional organizational silos and ingrained processes, you were free to consider all talent types for any resourcing need? 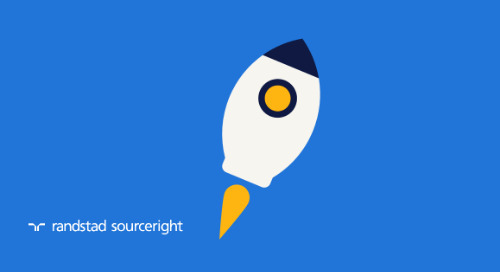 How agile could you be if hiring managers could get talent on-demand? 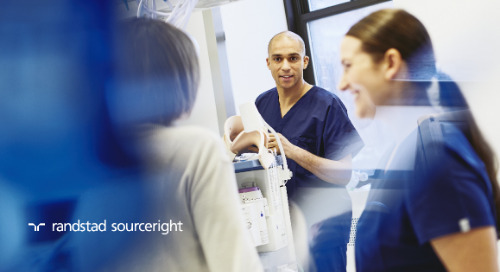 And how much more strategic could you be to the organization if you were able to anticipate workforce requirements long before they are needed? Wishful thinking? Not at all. In fact, some of your competitors today may be embracing such a model, giving them a competitive advantage and leaving you to explain why your organization is falling behind. These gains are all possible through the adoption of a total talent management approach, a movement that has been gathering momentum in recent years. 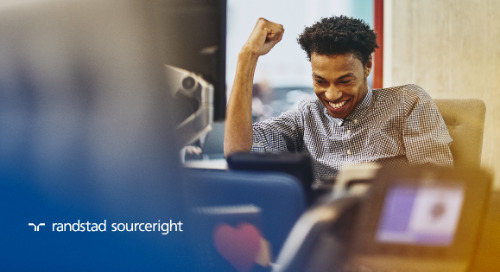 Although still in its infancy, the movement is leading a small, but growing number of employers to transform the way they think about and deploy talent across their organizations. The transformation has led to a range of strategic benefits, all of which make your company more agile in responding to market dynamics and better able to execute on business plans. What is total talent management? 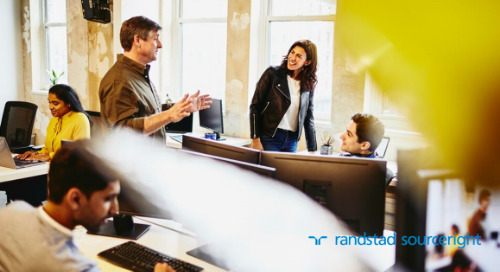 Staffing Industry Analysts (SIA) defines it as a practice of considering all types — permanent, contingent and automation — when performing talent acquisition and management. 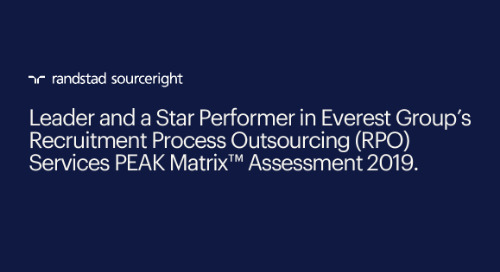 The approach leads organizations to “think about talent in the broadest sense” so that the most appropriate and efficient talent type is deployed for the work needed. For instance, an organization may have a position traditionally filled by a permanent employee, but is better filled by a part-time worker supported by a contractor. Conversely, a group of contractors may be replaced by a single full-time employee, and robotics or automation may be used to replace routine tasks, such as manufacturing labor in some instances. In other words, organizations choose the type of worker not based on existing headcount or employment models. Instead, they use data and expert talent advisory in consultation with hiring managers to determine how resources should be deployed. The result is a better outcome and greater efficiency, and hiring throughout the company adheres to a more consistent and accountable method. 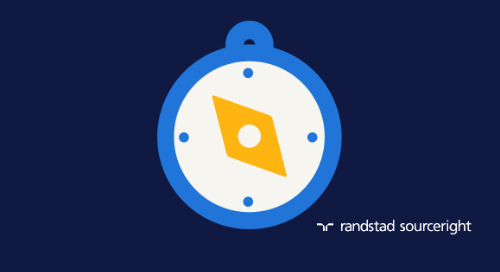 One of the most important considerations of adopting total talent management is that it is a continuous journey – it’s definitely not something you can start and finish overnight. The ultimate goal is to build long-term management models and practices that are inclusive of all talent. 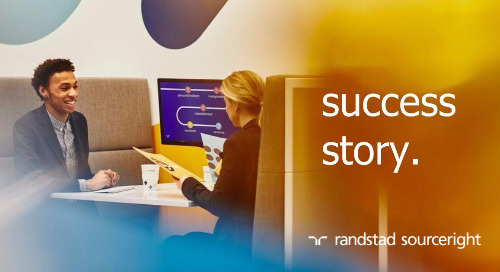 And while it will take time, effort and resources to make it happen, each step of the journey will bring the organization long-lasting, business-impacting benefits. 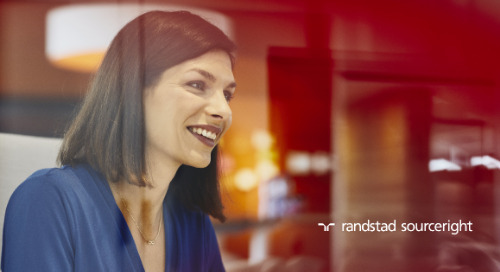 To activate a total talent management approach, employers need an integrated talent model that encompasses both permanent and flexible workers. 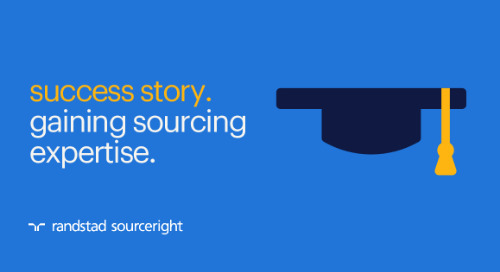 Whether it’s in-house or outsourced, such a program creates the mechanism for delivering the right talent. 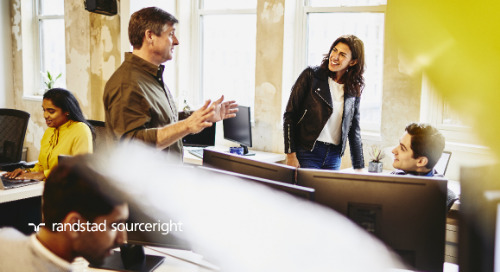 With advanced HR technology and talent analytics, an integrated talent model also provides organizational leaders with a holistic view of resourcing needs throughout the organization, which means they can address demand and fulfillment at every level. 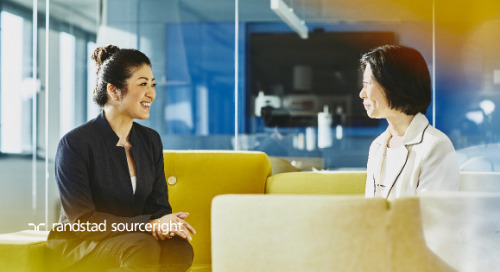 Although only a small percentage of companies today have adopted a holistic approach to talent, many of those who haven’t are aware of the benefits of going down this path. 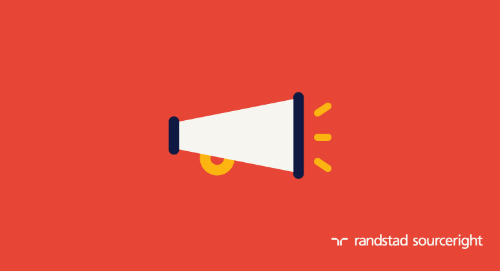 According to the “Randstad Sourceright 2016 Talent Trends Report,” 85% of talent leaders surveyed believe a holistic approach to talent management can enhance the resources they need. This finding is important because a sea change is occurring in the world of work, driven by digital transformation, increased competition for scarce skills, a rapidly evolving workforce and changes in business priorities. 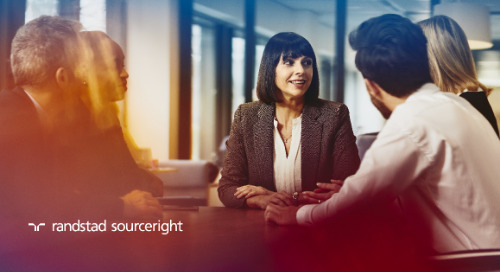 To stay ahead of the curve, employers must consider all the ways to accelerate their talent strategy, including the adoption of a total talent management approach. How will your organization respond to evolving trends, especially as the use of flexible talent rises around the world? Can a holistic approach alleviate any talent pains you currently endure? 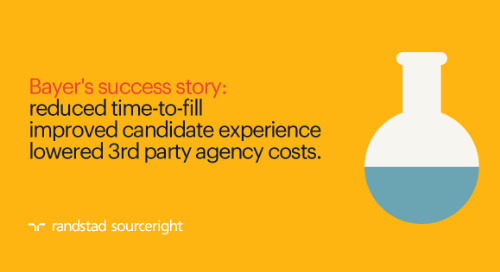 Does your team have the expertise and visibility to implement an integrated talent model that can address all of your talent needs? Will workforce automation impact the skills you need now and in the future? These are critical questions you should consider as part of your workforce assessment. 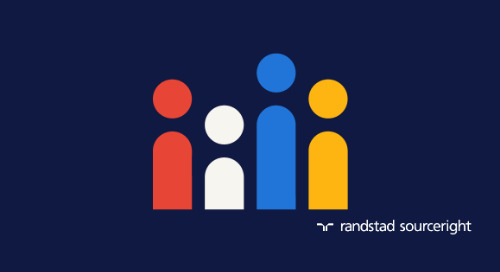 To help you build a clear picture of how an integrated talent model can benefit your company, we have created the “Randstad Sourceright Integrated Talent Playbook.” To accelerate the impact of your total talent strategy, click here to request your copy.